Yes, quite a few owners on the forum. I have three and am very happy with them. 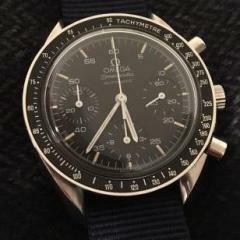 Some detractors because they are seen to be a "homage watch", but the quality is excellent for the price. 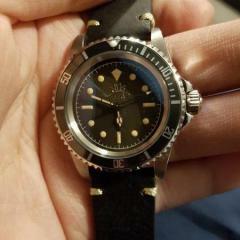 There is a lot of people with these, i have the black ocean one 39mm and its stunning, great watch for the money. Steinhart are quality watches and you won't go far wrong. The 39mm case is a good size and the bracelets are a cut above others in the price range. Time keeping is on a par with some of the best as well. Here's a couple of photos of my 39mm Pepsi bezel and a 42mm cased Ocean one I had previously. As others have stated ^^^^^ the quality is excellent & the performance out of the box is exceptional, IMHO! I own the OVM 39, which is the Mil sub style one. The Fit and finish is really good! 39mm is a good size too and the lugs are not overly short so it wears well. I think you'll be more than impressed with the quality/cost ratio. I owned a 42mm OVM in the past but boy did that wear big. You could consider Tudor bb 58, not a Rolex but half the price of a sub and near on same build quality. Where does the build quality fall short? I’m getting tempted myself. What’s the bracelet quality like? I have an ocean one 39mm and its a great Watch, I have no complaints. The homage thing makes me laugh it really does, no one takes any notice. In all honesty, not really alot, I suppose you get the 904l steel whatever that is against stainless steel case/braclet etc. I own Tudor's & Rolex, apart from 3 year warranty difference, casing thickness is nicer on the Rolex that's really it for me. Tudor just seem to tick all the right boxes. 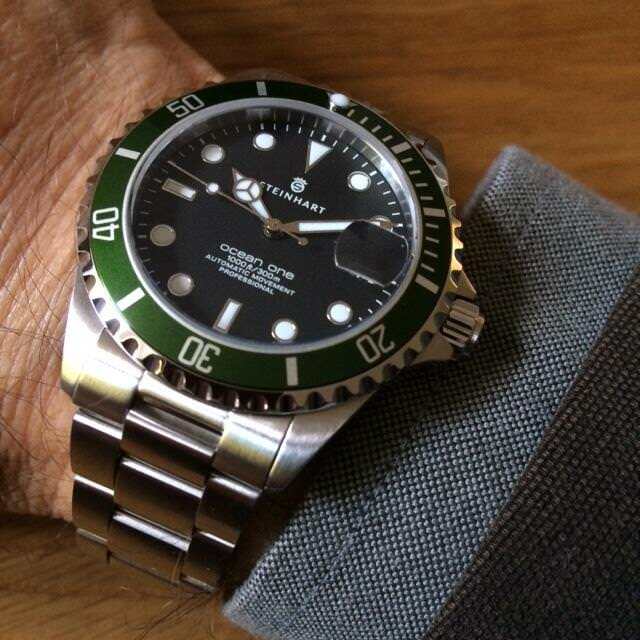 Although I am not knocking Steinhart in anyway great watches for the money. So you'll be in the look out for a vostok then ? Ok, give us a butcher's at your Abraham-Louis Perrelet, John Harrison, Thomas Mudge, John Arnold, Bahn Bonnikson, John Harwood, Omega Marine/JB Fifty Fathoms timepieces then ? Don't let politics spoil your enjoyment of "originality" . Are the gladiator hands homage watches in any way exempt because of the design input by the military to the original mil-sub? I am with you on not wearing copies, from a different angle: as a designer I would resent cheapened copies. I suppose it's morally ok once the rights have run out! 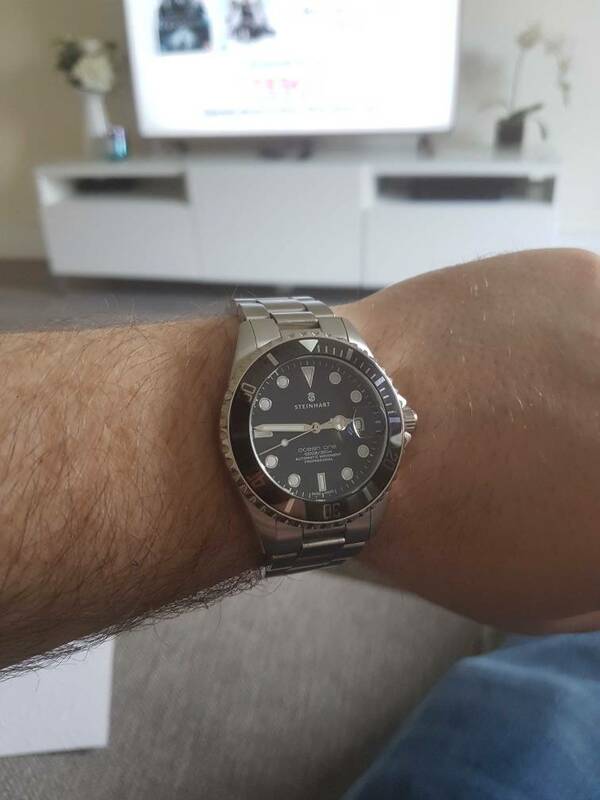 Got mine on today, feel like quality and very well built and 300m water resistance i got rid of my hamilton khaki king for this and i miss the hammy but very very happy with this stunner. Go fo it at the price cant go wrong.